Peanut LOVES bath time!! 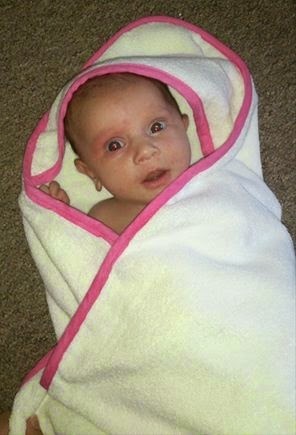 So when the lovely people at 100% Bamboo offered us a Bamboo baby hooded towel to try out and review we were thrilled. 100% Bamboo Baby Towels are very soft and absorbent, perfect for a baby's delicate skin.Bamboo baby towels come in a lovely white trim, pink trim and a blue trim on a white towel. The chosen blend of 50% Bamboo and 50% Cotton makes these towels luxurious and soft for baby's delicate skin. The size of the towel is 90cm x 90cm and the towel thickness is 650gsm. When the towel first arrived the first thing i noticed was the vibrant pink edging! It was a really lovely colour and made the towel pop. The next thing I noticed was just how soft the towel was!! Then I realised how big it was!! 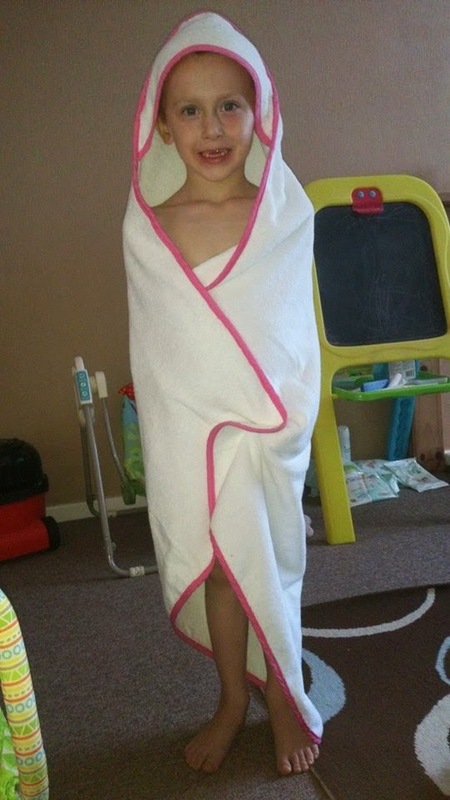 Although this towel is for peanut and is described as a baby towel my 4 year old boy had a little try and it fit him!! (and hes really tall for his age). Here are James and Peanut trying out the hooded towel. and here is peanut laying on the towel just to show how big the towel really is!! I was a little worried that the colour of the vibrant pink edging would run into the white of the towel during a wash but as they only require a 40˚C wash this is not an issue and the towel came out of the wash looking as good as new with no colour run at all. Peanut looks so snugly in hers and it didn't dry out her skin at all or feel rough against her new delicate skin and I was confident enough to wrap her up in it and let her stay like that for a while as she was so cosy in it. These Bamboo baby hooded towel are priced at £13.50 which I thought was an excellent price and they really are worth the money. The towel is still soft now after several washes and still looks brand new! 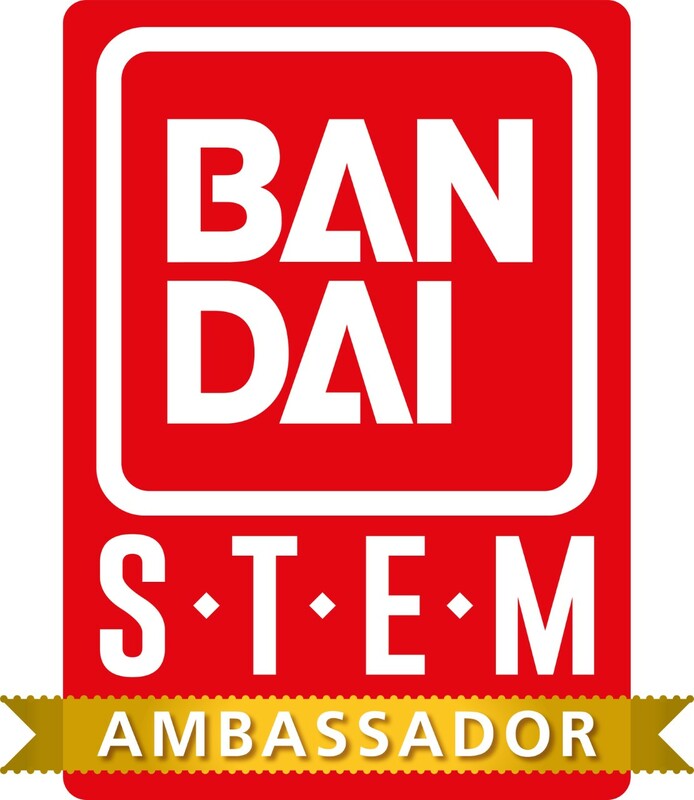 100% Bamboo also sell Bedding, Socks, Blankets and adult towels! 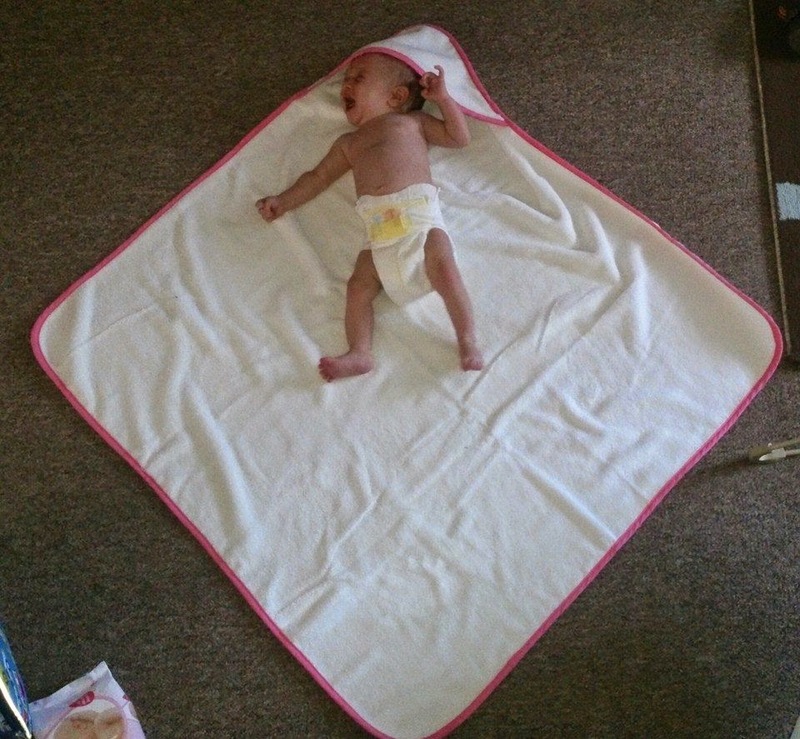 Oh how cute and how tiny (for now anyway) love the idea that the towels are quick drying thats a big plus point.